Brintons Carpets, together with partners PLUS Corporation, have designed a stunning, high performance Axminster carpet for the Bay View Sky Lounge at the Yokohama Bay Sheraton Hotel & Towers in Japan. 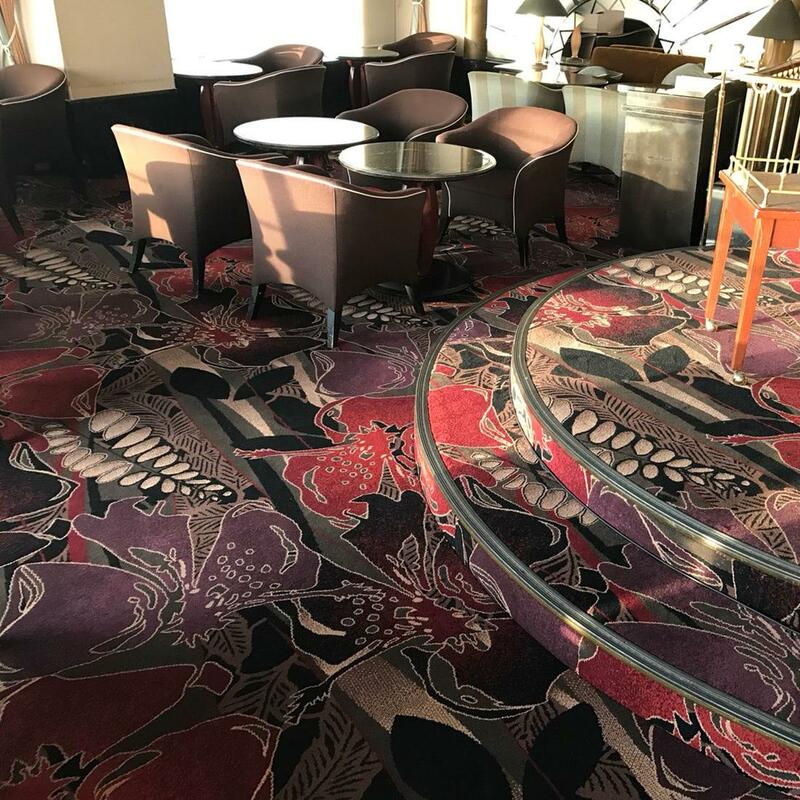 As part of an ongoing commitment to delivering an enriching experience to guests, the Bay View Sky Lounge has been thoughtfully refreshed. 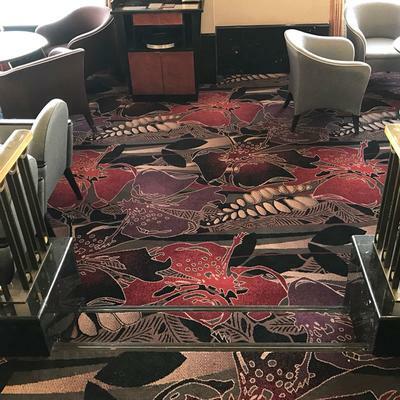 Located on the top floor of the hotel, the sky lounge offers guests magnificent views of Yokohama City, the bay, and the Bay Bridge. Brintons was commissioned to develop a transformational flooring solution to energise the space. The result is smart. 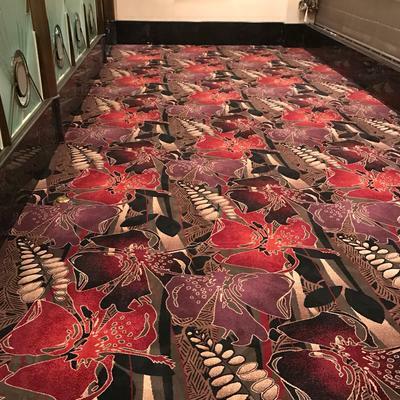 The carpet is without doubt a focal point - creating a space which is evocative and awakens the senses. The flooring pattern, inspired by a carpet in Brintons Antipodes collection, successfully brings a tremendous warmth and energy to the space. 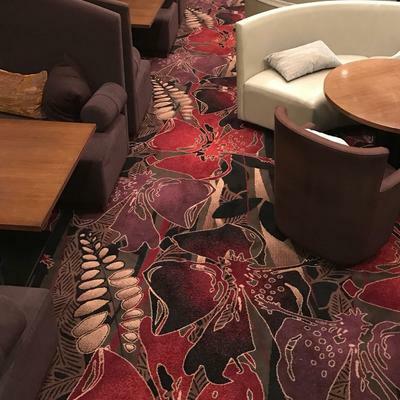 The stylised botanical design blooms across the floor in a resplendent palette of crimson and purple. 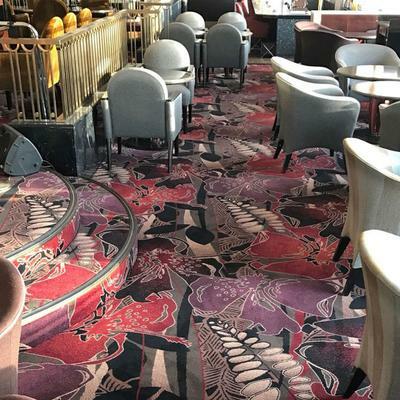 The colouration of the carpet design is deliberately dramatic and provocative – beautifully modernising the space.